He is known as an impressionist standing out amongst the best of them -- even impersonating the impressions of his legacies on Saturday Night Live -- but ironically the genuineness of Jimmy Fallon has contributed to making him famous. With the aid of his image as a breakthrough geek, Fallon has melted the boundaries between 21st century heartthrob and accomplished comedian, making audiences forget the times when the funny guy wasn't attractive. Born in Brooklyn, NY, on September 19, 1974, Fallon grew up in Saugerties, NY; from the time he was six, he would reenact Saturday Night Live skits with his year-older sister, Gloria. (The two of them would co-write their book I Hate This Place: The Pessimist's Guide to Life in 1999.) After dropping out of college and then spending some years fine-tuning his comedic trade in and out of Los Angeles, Fallon moved to New York City full time to begin his dream relationship with Saturday Night Live in 1998. He has also graced the tube in various series cameos, including an episode of HBO's WWII drama series Band of Brothers (2001). Fallon made his film debut in Cameron Crowe's 2000 box-office hit Almost Famous, incognito as Dennis Hope, the replacement band manager. While the film provided evidence of Fallon's serious side, expanding the scope of his roles beyond the comedic realm, his appearance was downplayed by the thick beard and glasses disguising his familiar face and signature boy-next-door charm. Though his film career throughout the 2000s was inconsistent (he was praised for his work in Whip It (2009) and Fever Pitch (2005), while Factory Girl (2006) and particularly Taxi (2004) were panned by both critics and audiences), the comedian would find success once more on the television screen in 2009 with Late Night with Jimmy Fallon. 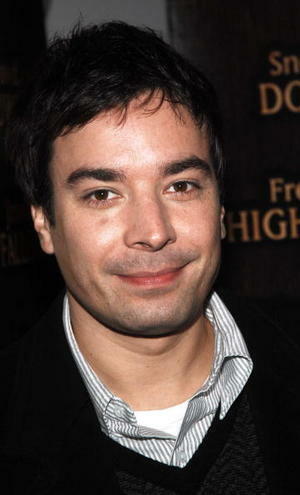 Fallon succeeded fellow comedian Conan O'Brien, who left NBC in preparation of taking over The Tonight Show in 2009. 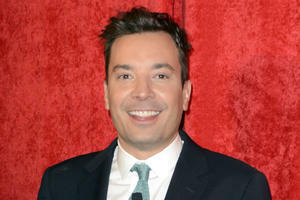 In 2010, Fallon was chosen to host the 62nd Primetime Emmy Awards. In 2014, Fallon took over The Tonight Show hosting gig from Jay Leno when Leno's contract was up.